Brands come and go, but history remains, we all know that. And that is exactly what Vortic Watch Co. embodies as a product. 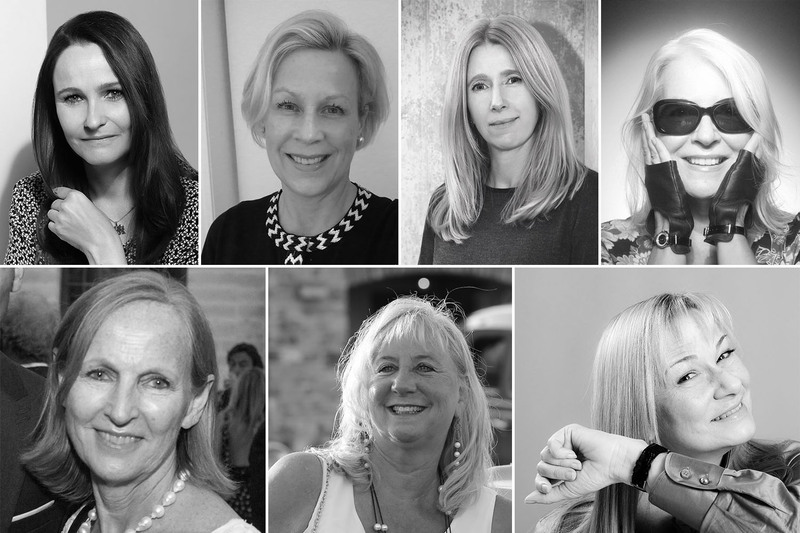 Instead of designing, engineering and building an innovative new product, Vortic Watch Co. feels that “we had it right the first time” and decided to go from there. 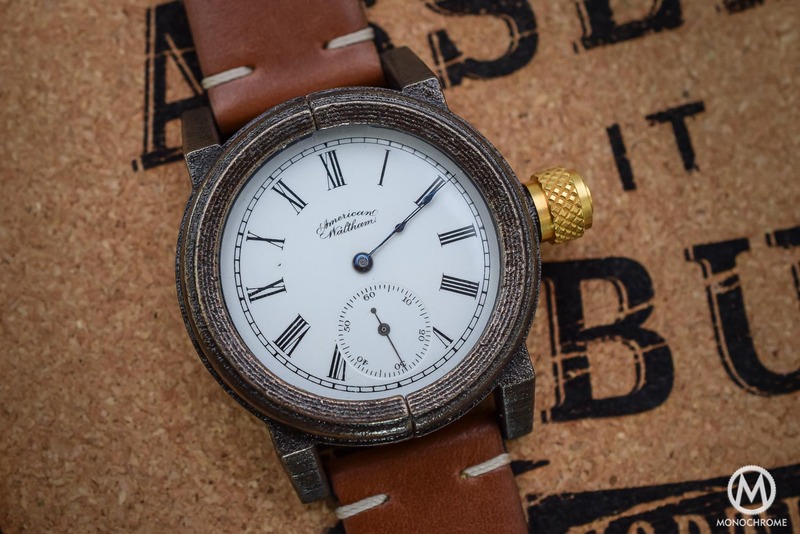 The American Artisan Series by Vortic Watch Co. was born, roughly a hundred years ago – well at least for the movements, as the 3D printed cases are all except vintage ones. 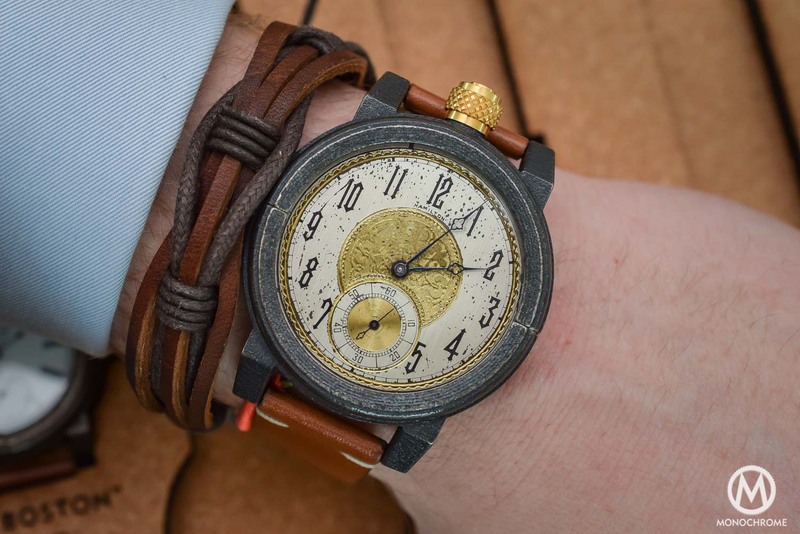 Vortic Watch Co. is headed by three Penn State University graduates, who played around with 3d printing in steel and eventually ended up launching a watch brand. 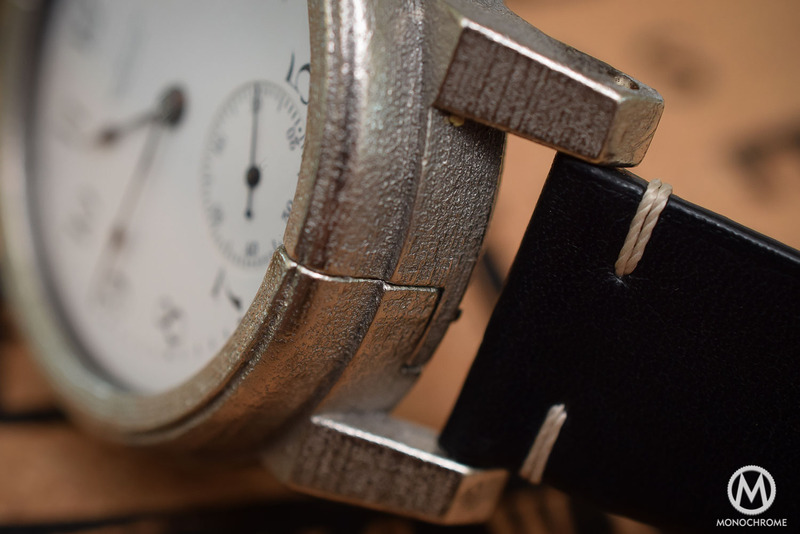 Each and every watch built by Vortic Watch Co. has a 3d printed steel case in various different finishes and dimensions. 3d printing has seen a huge increase of possible applications over the past few years, whether it being plastics, steel or other type of material. We’ve also seen some of these applications wander over into the watch industry, like the 3d printed dials of ALB Watches. It’s the speed, customization and relative low costs of prototyping and production that are the main interest for many. For others, it is not just about the cost. And also about how to use 3d printing in everyday life. Being watch nuts, the three youngsters (R.T Custer, Tyler Wolfe and Frank Barber) live close to the former epicenter of American watchmaking, which resulted into combining the heritage of pocket watch movements from yesteryear, with 3d printing techniques of today (and maybe even tomorrow). Using pocket watches from American brands like Waltham, Illinois Watch Company and Elgin, they pay homage to USA heritage and in particular a product that is widely discarded in favor of the wristwatch; the pocket watch. Although we’ve seen a number of modern interpretation of one, for instance the highly-complicated Montblanc Collection Villeret Tourbillon Cylindrique 110 years Edition, people hardly wear them anymore. If you scamper through the thousands of listed items on eBay you can find a lot of marriage watches that house old, un-serviced pocket watch movements in *cough* Chinese cases that are not always *again; cough* very appealing. 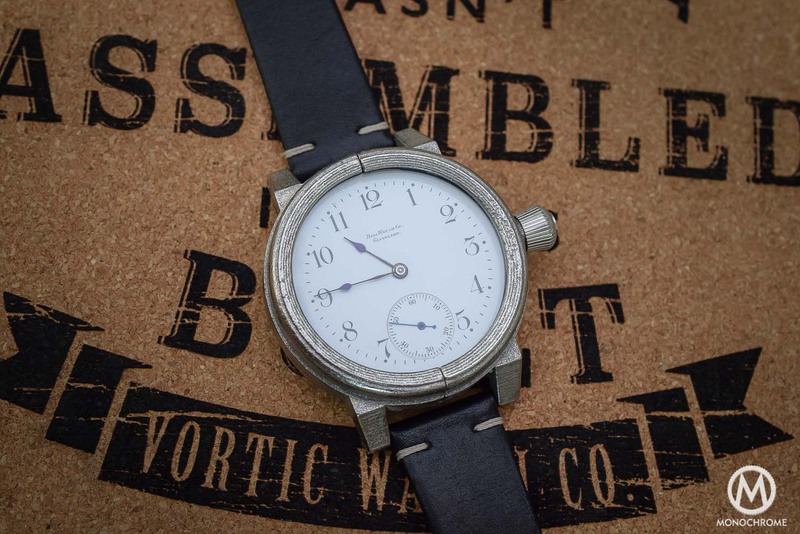 What Vortic Watch Co. does however, is a little bit different. 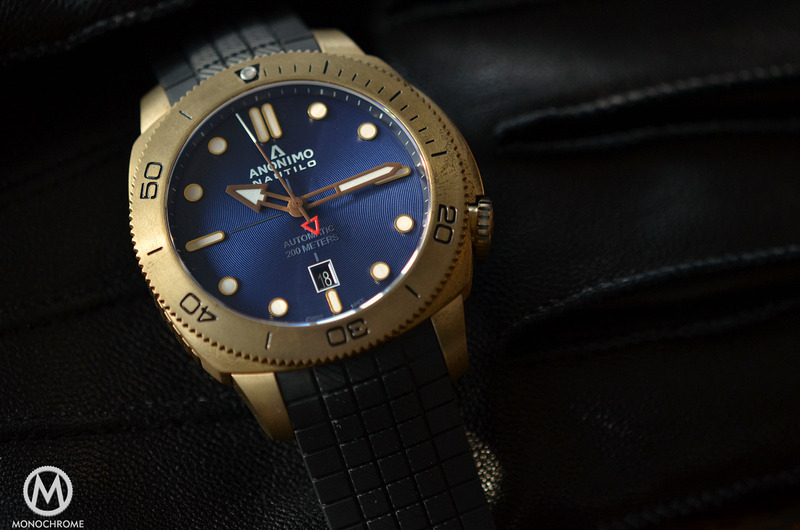 Or rather hugely different, if you look at some of the watches they offer. 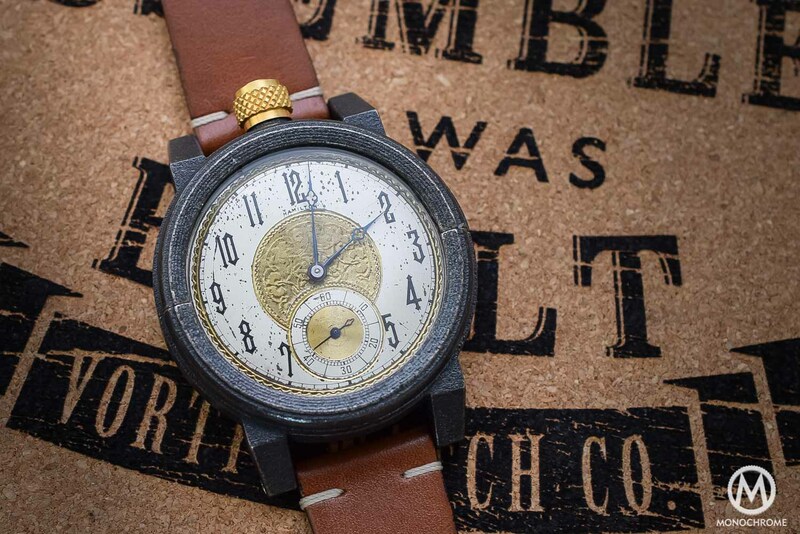 In the American Artisan Series, Vortic Watch Co. takes vintage pocket watch movements and reworks them entirely where needed. They get a full service, and are put in a 3d printed case. These cases range from 42mm to a whopping 51mm in diameter, so you need a bit of a wrist to wear some of them comfortably. The interesting and difficult thing is that even though there are millions of these movements still around, almost none of them have the exact same dimensions as the next one. That is why Vortic Watch Co. uses a 3d printed plastic spacer to be able to fit the movements inside the case properly. An Elgin movement can have a different construction and thus slightly different measurements compared to an Illinois Watch Company movement, but still be housed in a 51mm case, got the idea? 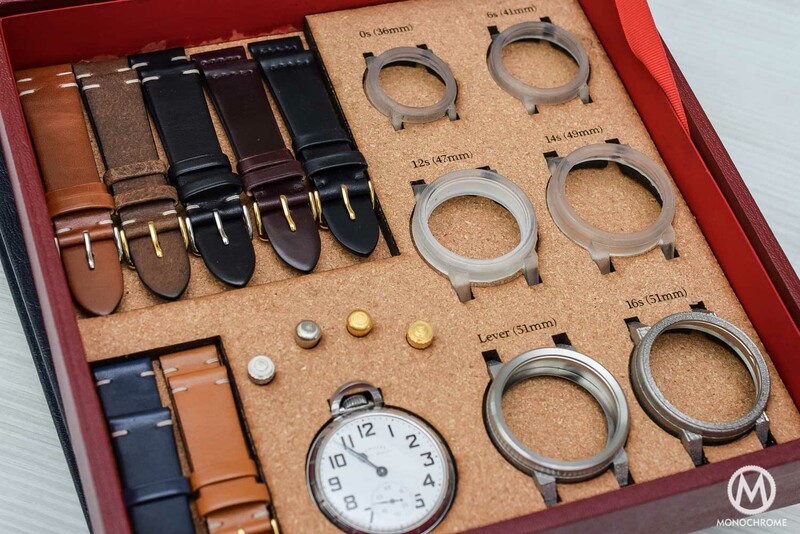 One of the biggest challenges for the men of Vortic Watch Co. is the placement and fitting of the crown. Just about all the stems and crown constructions are different from one another so each movement comes with its own challenges. The rough, rustic finishing of the 3d printed, 316L steel case is a deliberate but still subjective to taste (like everything basically) so it might not be for all of you. When the steel is printed, the finished case gets infiltrated with molten bronze. The watches are very “steampunk” in look, which is an acquired taste if you will, but when you strap one on it somehow seems to works. Yes, some of them are very large and yes the height can be an issue in everyday wear, but the same goes for, let’s say a 45mm Zenith Type 20 Pilot’s watch. 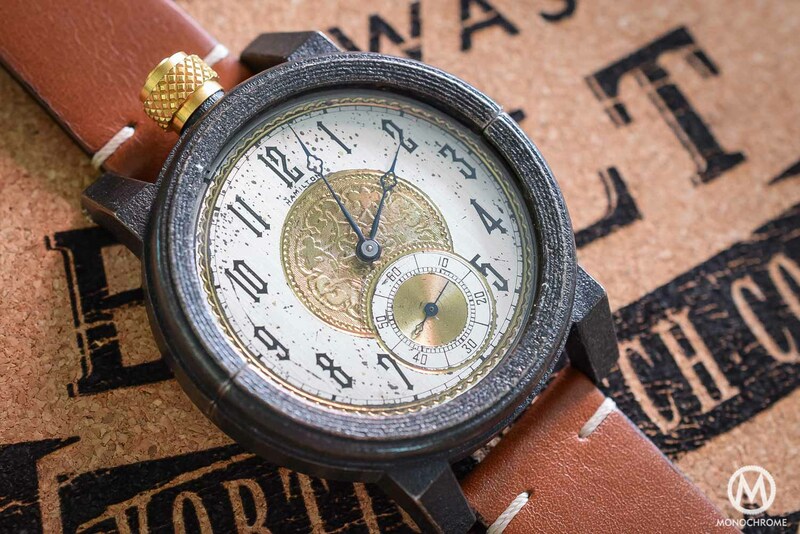 Regardless of which Vortic Watch Co. American Artisan Series you go for, you end up with a unique watch, whether you design your own with the online configurator or buy one of the off-the-shelf watches. The entire collection is spread over three models with The Chicago being the entry level. The Chicago starts at $795 and is powered by Elgin movements. Next up is The Boston, starting at $895, fitted with Waltham movements and the most expensive one is The Springfield. 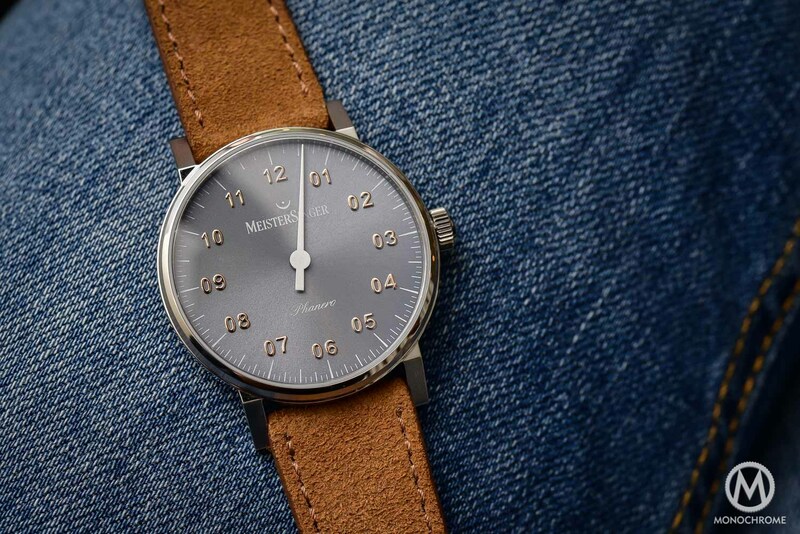 This last model is equipped with movements by Illinois Watch Company and starts at $1,245. After you selected the type you want, you get to play around with various options to further set you off the masses. 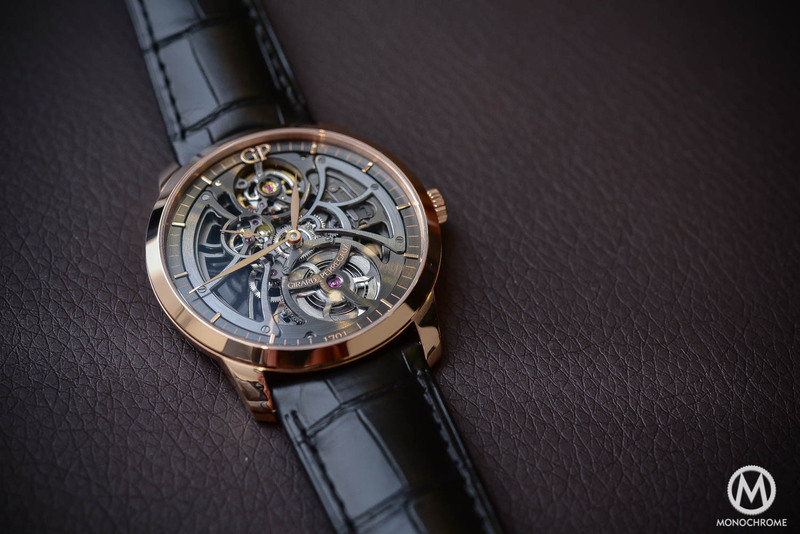 Some of these options come at a premium, adding to the total price of the watch, like the number of jewels in the movement or size of the watch. 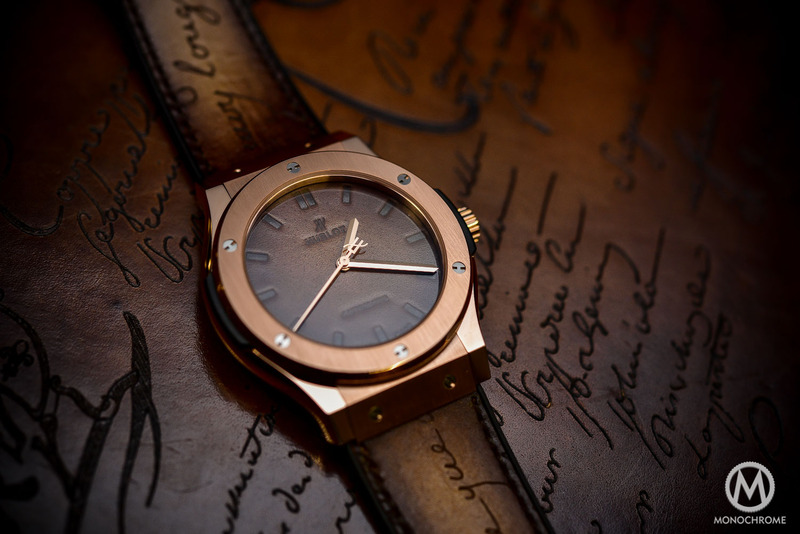 Some options are free of charge, like the finishing of the case (Polished, antique bronze or medieval pewter) or the type of leather strap. You can also choose from various dials and decide what type of crown and where you want it. 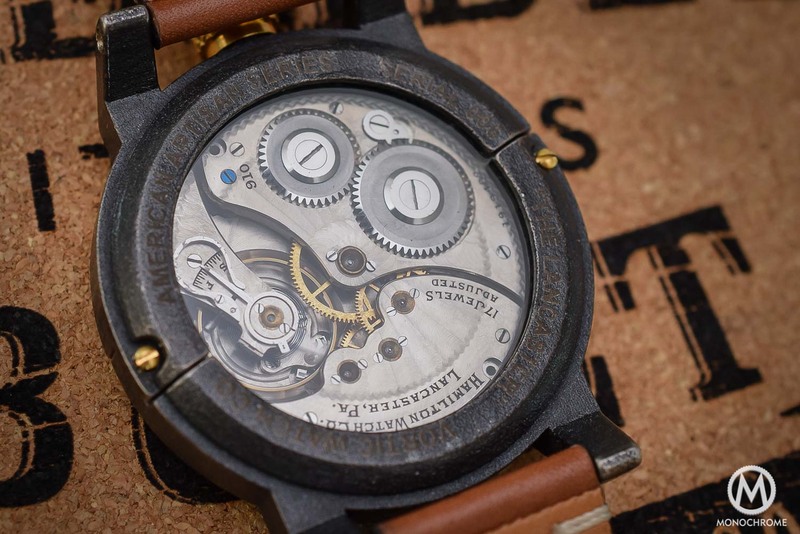 When you’ve taken delivery of your Vortic Watch Co. American Artisan Boston (Or Chicago or Springfield for that matter) you also get information of what movement powers your very watch. You receive information like the serial number, the production run, the year it was made (which ranges from 1880 to about 1950) and so on. All of this really adds to the story of the watch, much like we’ve seen with the REC Watches P-51. It becomes far more than “just” a watch, it becomes a story, with an identity, and what’s not to like about that? 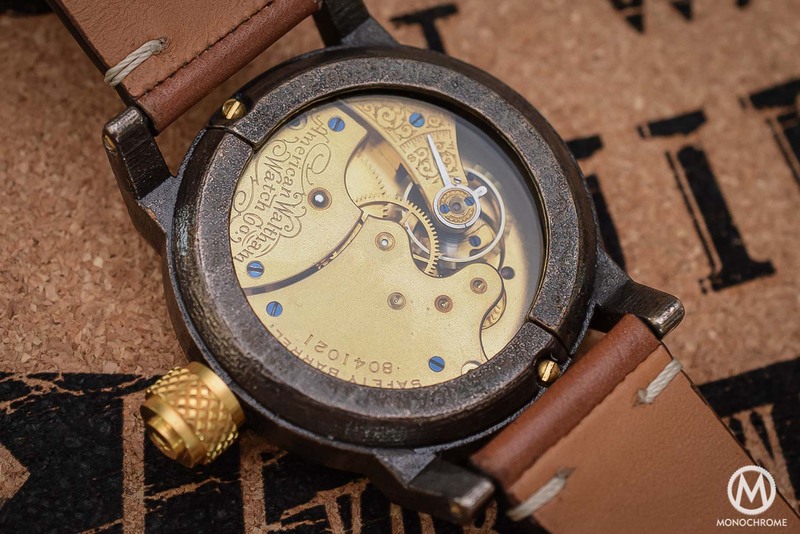 The main attraction from Vortic Watch Co. is that it perfectly blends in the old with the new, the history with the future, and I feel that is a fitting ending of this article. For more information; Vortic Watch Co. Thanks for introducing this brand and its range of watches. The idea to blend old movements with new 3D printing technology is great to me….A sort of bridge between ages which really can give emotions. the possibility to have the timepiece highly personalized at this price pint is also an unusual feature. I wonder how long it will take before a whole watch (movement, dial, case) will be 3D printed….Maybe one day we will buy the project, and print our watch at home ? By including the photo of the case with the straps, bezels, and what looks like batteries, are you inferring that this piece comes with each and every watch? Also, you headline states that “live pics & price” are included in this article, but I can’t find them. The display with cases, straps, and crowns (not batteries) was used to show off the product at Baselworld. It does not come with every watch. Check out the watch builder at http://vorticwatches.com/products/watch-builder. The sold out products are prefabs, so instead create your own. Is it possible/likely that you will ever reproduce old 16s and 18s pocket watch cases which collectors sorely need?